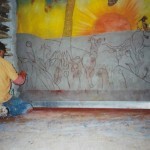 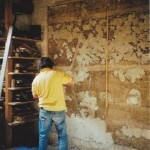 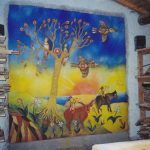 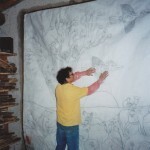 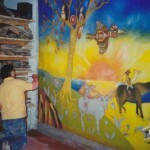 Fresco painting on Saint Astier high calcium lime by famous artist Jean-Marc Brugeilles. 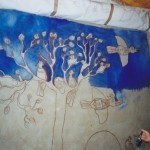 NHL substrate applied on cob wall. 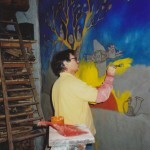 For more information, please visit www.brugeilles.com.